This outstanding Pax Tank will definitely be your new go-to tank for workout or leisure. There’s a reason BLS named this tank after the Roman Goddess of peace...she provides peace of mind. 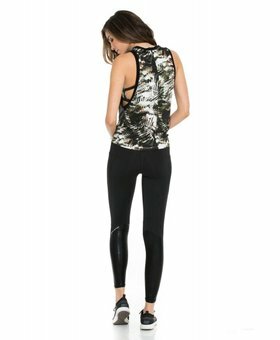 The Pax Tank will definitely be your new go-to tank for workout or leisure. Alluring mesh details adorn the sleeveless silhouette of this ultra soft, ultra feminine v-neck tank.